for people like you: people on the go. 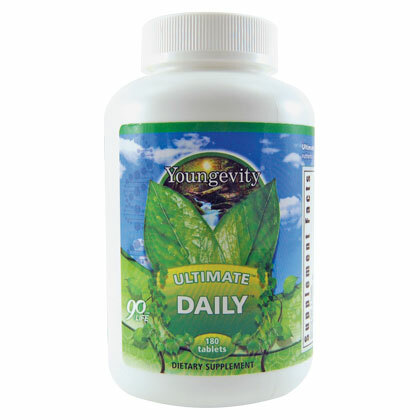 Ultimate Daily® has a formulation that is so complete and convenient, it contains a full day’s supply of vitamins, minerals, and antioxidants. This broad spectrum of ingredients will enhance the circulatory system and fuel your body. Ultimate Daily® is an easy and convenient choice for anyone concerned about their health. 667% GINGKO Baloba (24% flav./6% Terp.